Considering using a mortgage broker to help you find a home loan? Learn more about mortgage brokers, the pros and cons of using them and what questions to ask them. It’s easy to see the attraction: working out what is on offer from each institution can be time-consuming and confusing. Much easier to let a mortgage broker do the legwork for you. A mortgage broker is a type of financial adviser who specialises in helping people find a home loan. After the selection of a home loan, the right mortgage broker can also manage the application process for you and provide tailored advice along the way, helping you secure the home loan. A mortgage broker is essentially a conduit between you and the lender. Their first job is to assess your financial affairs, put together a picture of your credit-worthiness, and help you determine what type of home loan will be right for you. They should then offer you a variety of home loan options from the panel of home loan lenders they act for. Mortgage brokers generally offer lending products from a number of different financial institutions, not all of the lenders on the market, so keep this in mind before deciding. Because they have access to numerous products, they will almost certainly have access to something that suits your needs and they can spend the time with you to understand what your goals are, to explain the options, and to help you with the paperwork. They can potentially provide you with a very useful service. 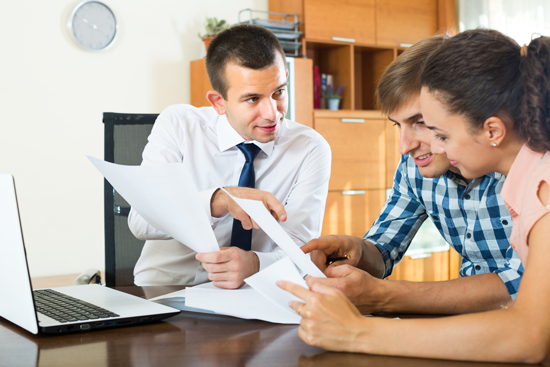 As a go-between for borrowers and lenders, mortgage brokers can be very useful if you aren’t confident in your understanding of finance or mortgaging. Hiring a broker can be an excellent way of finding the best value home loan given your personal circumstances – just make sure you select your broker carefully! For some people, using a mortgage broker can be a great move for your financial situation, but carefully consider the pros and cons and check that the broker you choose has the qualifications and experience necessary to find you the best product they can. A mortgage broker can potentially be an invaluable resource for those with a poor understanding of the finance and mortgage industry, or their own financial affairs. A broker may be able to find you a mortgage that’s better for your individual situation and affairs. If you don’t have the time to do the extensive research required to properly assess the variety of home loan products available to you, a mortgage broker can do this for you (within the panel of products they sell). 1. How many lenders do they deal with? No point in going to a mortgage broker that recommends products from only two or three lenders – you could compare far more products than that by yourself, quickly and easily (our compare home loans table is a great starting place). It’s also worth asking whether they have a bias towards any particular lender and if so – why. 2. What are their fees and commissions? The question above leads naturally on to this: how much will the mortgage broker be paid by the financial institution for referring our business to them? After all, everyone gets paid for the services they provide. 3. What will your refinancing costs be? Refinancing costs (for example, a loan application fee, a property valuation fee, lenders’ mortgage insurance) are separate to the payment that the broker receives – and these refinancing costs DO come out of your own pocket! It’s important to ensure that the costs associated with switching are not going to outweigh the benefits. Do they understand what you want? It’s great to ask your mortgage broker lots of questions, but you need to answer some as well. In order for mortgage broker to recommend a good loan for your needs, they need to what you’re looking for. Why are you refinancing? Are you going to stay in this property for a long time? Are you planning renovations? Giving your broker a sense of your future goals will help them to find a home loan that suits your needs. Regardless of whether you decide to work with a mortgage broker or not, you can compare home loans available on the market with our comparison tables. You can see a snapshot of floating loans available for refinancing below, sorted by current rate (lowest to highest) and for a loan amount of $350,000 in Auckland. If you’re interested in comparing other home loans, you can use our comparison tables here.